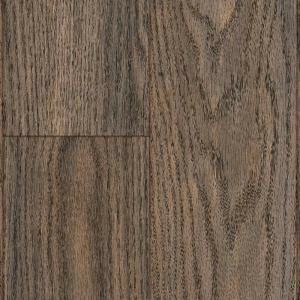 TrafficMASTER Colfax is an exciting addition to the line of laminate flooring. Muted grays with tawny brown and black define the tones, creating a weathered, yet stately look. With the authentic embossed in register finish, Colfax looks and feels like costly reclaimed hardwood. The easy locking system makes this an ideal pick for quick installation, without glue or nails. 14 sq. ft. per case. Case quantity: 8. Case weight: 29 lb. Buy online TrafficMASTER Colfax 12 mm Thick x 4-15/16 in. Wide x 50-3/4 in. Length Laminate Flooring (14 sq. ft. / case) 4838CWI3436RE21, leave review and share Your friends.